The importance of seagrass beds and mangroves, and their susceptibility to a range of disturbances, means that they are often a focus of restoration efforts. Restoration of these habitats can often be required as part of a coastal development project, either as a remediation strategy or as part of an offset plan. Many of the considerations that should be applied to coral reef restoration are also relevant for seagrasses and mangroves. Below are some of the key issues and considerations that are particularly relevant to restoration of mangroves and seagrasses. Determine the cause or causes for the death or disappearance of mangroves from the area of interest. If a chronic stressor is still present (i.e. extended flooding), it may prevent successful restoration. Reduce or remove any chronic stressors in the area. An example would be putting a culvert under a road that was constructed and impedes tidal flushing or freshwater drainage. It is very common to see such roads with dead mangroves on the isolated side, and healthy mangroves on the water-ward side. Areas of mangroves that are diked also often suffer extended flooding. Reconnection to tidal waters is essential before restoration can proceed. If removing or adding fill material to a restoration site is proposed, the design and careful monitoring of the final target grade (i.e., ground elevation relative to a surveyed datum or reference point) is very important. The single most common error made in mangrove restoration is the failure to reestablish the correct tidal hydrology. The depth and duration of flooding tolerances for the mangrove species must be understood. Check the range of elevations over which a stand of healthy mangroves is naturally established at a location as close as possible to the target restoration site, and plan on establishing a similar range at the restoration site. Different tidal ranges require different target elevation ranges. An important component in mangrove restoration is the design and placement of tidal creeks and channels. Tidal streams provide access for fish and other mobile mangrove fauna, and allow for drainage of flood waters. 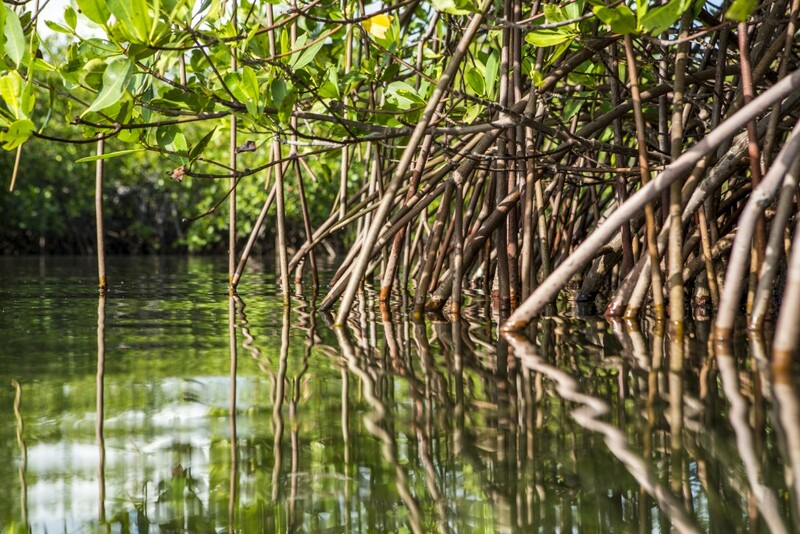 The need to replant mangroves varies greatly from site to site. The decision of whether to plant or use nurse plant species like Batis depends on the expertise of the design team and observations from similar areas over a period of years. 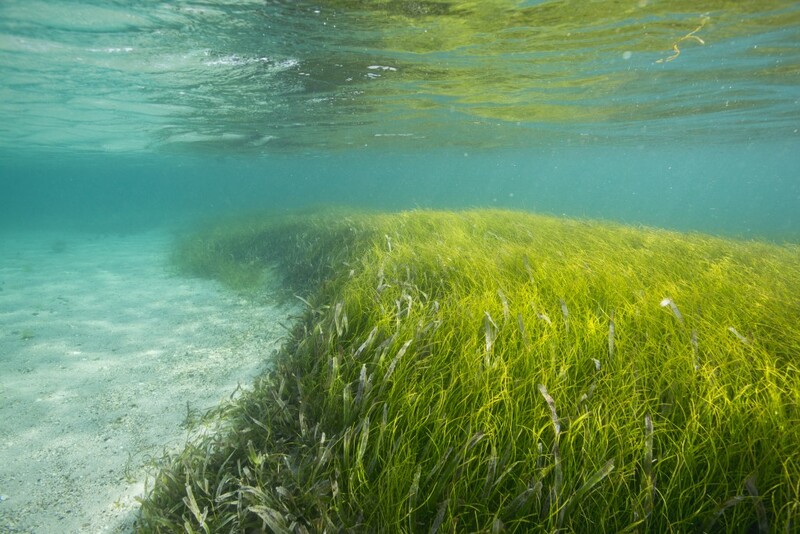 Seagrasses are experiencing a worldwide decline due to a combination of climate change impacts and other anthropogenic factors. Seagrass areas along coastlines that are already affected by human activities (causing sedimentation, nutrient enrichment, eutrophication and other environmental impacts) are most vulnerable to climate change impacts. Restoration can either involve improving environmental conditions (e.g. water quality) to encourage natural regeneration or can involve seeding or the transplanting of seedlings or mature plants from donor beds. Seagrass beds can be restored by encouraging natural recolonization in areas that have experienced improvements in surface water quality. Proactive methods of seagrass restoration include transplanting of individuals taken from healthy donor beds or seedlings reared under laboratory conditions. In some cases seeds can be planted or broadcast. Seeding can be used alone or in concert with transplant techniques.